If you've been reading here for a while, you'll know that HALO is definitely one of my favorite brands out there. I've reviewed with them many times and I've used every single product they've ever sent me and they are just a wonderful company to work with and have a relationship with. I just love HALO and will recommend them to just about anyone with little ones. This time around I saw they're new Spring SleepSacks and had to have one. They have so many adorable new colors/prints for Spring and they're just lovely. There was a bit of mis communication and they sent me a grey elephant as opposed to the colorful one I had wanted. It's a bit big, but there's plenty room for growth. So I told her that it wasn't the one I originally wanted, but it was no big deal and she then said she would send me the original one I wanted. So that's where their customer service comes in. They are amazing at accommodating and sending out the right product. The size large is definitely a bit big on him. It may not be super safe to use these size larges on Emerson yet, he could probably get smothered in it right now since it almost goes over his head. But I know these will be perfect for later on this summer or even this fall/winter. We use a sleep sack almost every night with Emerson. He always kicks his blanket off and it also keeps him from pulling down his pajama pants. So it's a double win. I love HALO's sacks the best. The cotton ones are the perfect material and are perfect for the summer. They are so soft it's incredible. And the quality lasts a VERY long time. They can easily be passed down from baby to baby. Here is one of the new girl prints! They also offer Swaddles and different materials as well. And they even have pajamas. 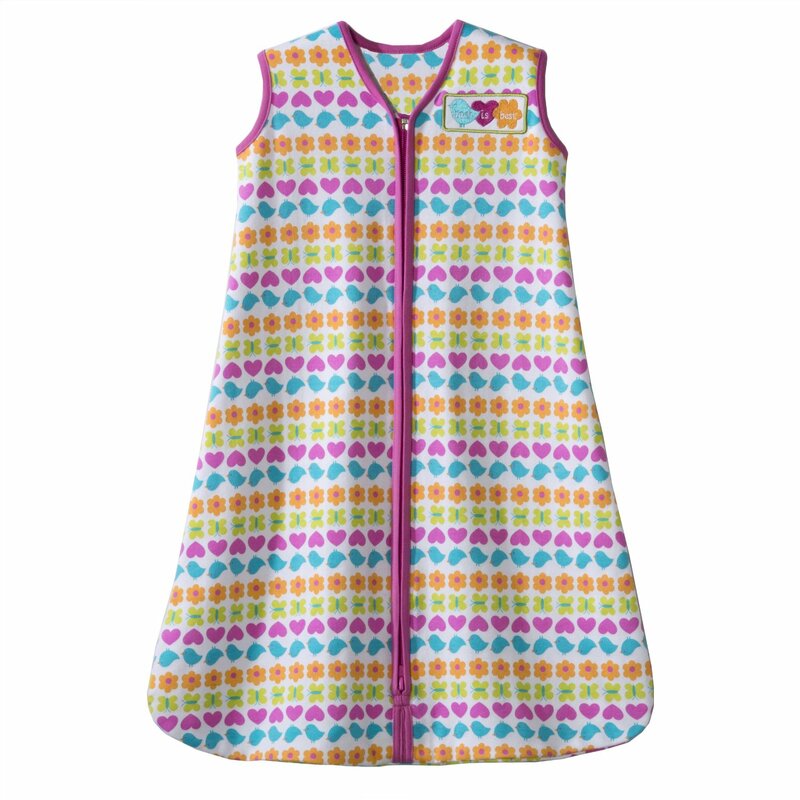 HALO Innovation’s SleepSack® wearable blankets have become the standard for hospital nurseries and parents alike. In fact, 1,000 hospital nurseries use the HALO SleepSack Swaddle instead of blankets through the HALO Safer Way to Sleep Initiative. That is 1.5 million births getting first-hand, in-hospital experience with the HALO SleepSack Swaddle and safe sleep practices! Leading health organizations agree that modeling proper baby care in the hospital is the single biggest influence on how parents care for their baby at home. HALO Innovations also offers free Safe Sleep Practices kits to childbirth educators to help further the cause of SIDS prevention. 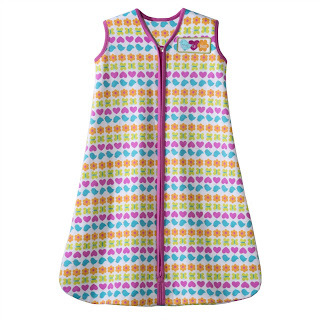 For the Gearing Up For Baby Hop, HALO is offering one reader the chance to win a Swaddlechange, Swaddle AND a SleepSack. This will be a part of the Grand Prize and will be live here tomorrow the 15th!